Clean, comfortable beds, nice rooms!!!!!!!!!!!!!!! We enjoyed the view of the lake. Also the bed was very comfortable. 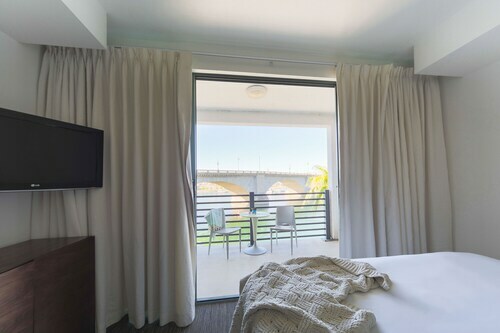 The room was a bit dated but has everything you need for a comfortable stay with a water view. Served my weekend purposes just fine. A decent older motel. Clean room, very friendly house keeping staff. Lake Havasu City, Arizona, is most famous for the actual London Bridge that was moved piece-by-piece from England and reconstructed in the mid-1960s. The bridge stretches over the famous Lake Havasu, created after the installation of the Parker Dam. 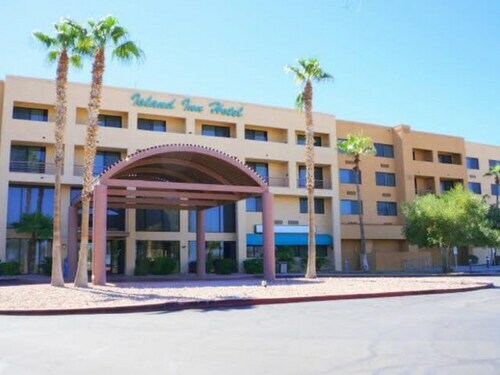 Hotels in Lake Havasu are nestled close to the bridge and offer comfortable accommodations for their visitors. 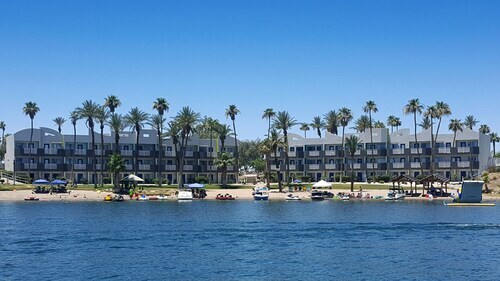 Enjoy the many Lake Havasu hotels, including bed and breakfast inns, budget rooms, family vacation rentals, and RV resorts. The lake is the center of outdoor recreation in Lake Havasu City, with clear water great for swimming, snorkeling and boating. Enjoy the London Bridge and beautiful Lake Havasu and on a Sunset Charter tour, or a Dixie Belle paddle wheeler ride. Shagrue's has great cuisine, a waterfront view of the London Bridge, and special events like the Lobster Fest or the Justin Wine dinners in early September. Shagrue's caters and has several semi-private dining rooms for special celebrations or business meetings. The Shops at Lake Havasu, just off Highway 95,has brand name stores and great customer service. Visit the Uptown District on McCullough Boulevard to find unique gifts and specialty shops. Enjoy a round of golf at the Courses at London Bridge Golf Club on Clubhouse Drive. The course offers 36 holes with fantastic views of the Colorado River, as well as a pro shop, a chipping green, and an onsite restaurant. Lake Havasu City hosts several annual events, including the London Bridge Days Parade, the Chillin'-n-Swillin' Beer Festival at Rotary Park, and organized Paddle Fests on Lake Havasu.